Project Reporting with Burndown Charts – Impulses. Empower. Productivity. Controlling a project might be quite a hassle if you don’t have proper instruments. 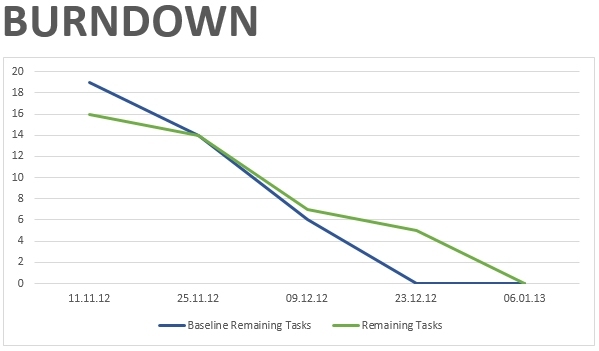 This article shows how to use Burndown charts for tracking progress and how to model this in Microsoft Project. First time I got in touch with Burndown charts was back in 2006 at one of my clients. 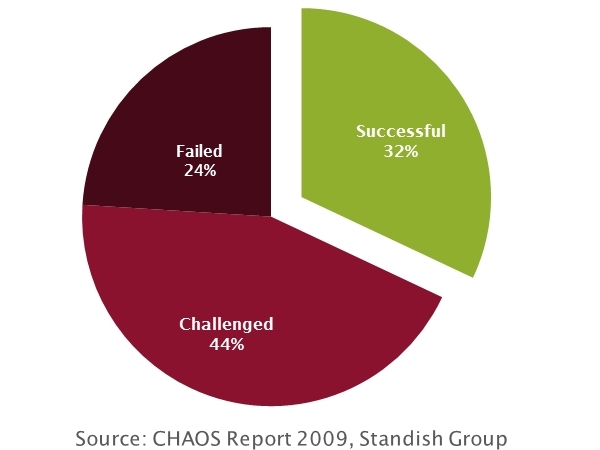 We faced the challenge to integrate the controlling of agile and classical projects. Being new to that topic it was quite hard to read that these charts not to mention making them comparable with classical controlling methods. First, let’s have a look at a Burndown chart. Summarizing the interpretation: Green line left of Burndown is good (we are faster), green line right of the blue one is bad (we are slower). It’s just that easy! 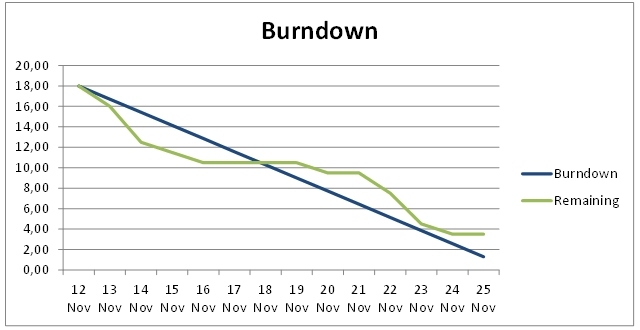 This next section explains how a Burndown chart can be created in Microsoft Project 2013. 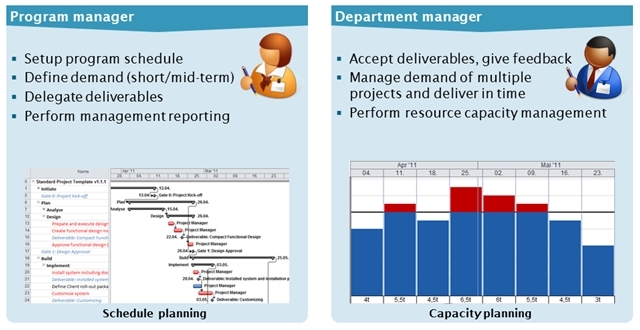 All we need is a project plan with few tasks, a baseline and little progress. All this has been incorporated into the following project plan. What you can hardly notice that everything looks good until task #10 (marked). 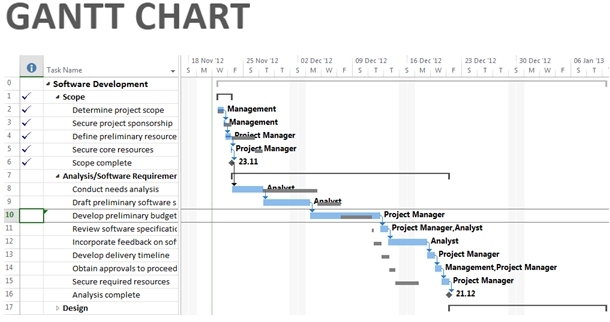 If you are very familiar with Microsoft Project, you might notice in the Gantt chart that all tasks before #10 are better than planned: Current planning (blue) finished before the baseline planning (black). 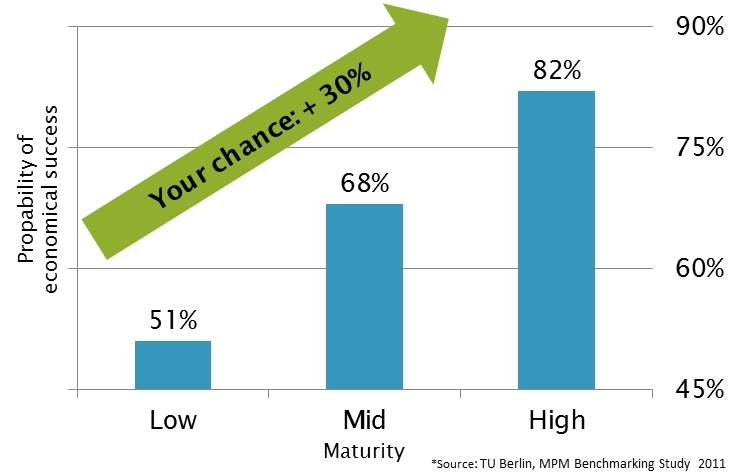 Now, let’s have a look at the same situation using a Burndown chart. You can clearly see that everything looks fine until beginning of December. The green line is left to the blue one. After that date, esp. December 9th and later, the project is be out of planning and I need to react. You get everything with a blink of an eye. And the best of all: everything’s out of the box with Microsoft Project 2013. They introduced new fields called ‘Cumulative Remaining…’ (… Work, … Actual Work, … Baseline Work, …) These fields enable Burndown charts. And you can go further: just create a dashboard and add this Burndown together with a list of late tasks – and you know what to do and where to act! 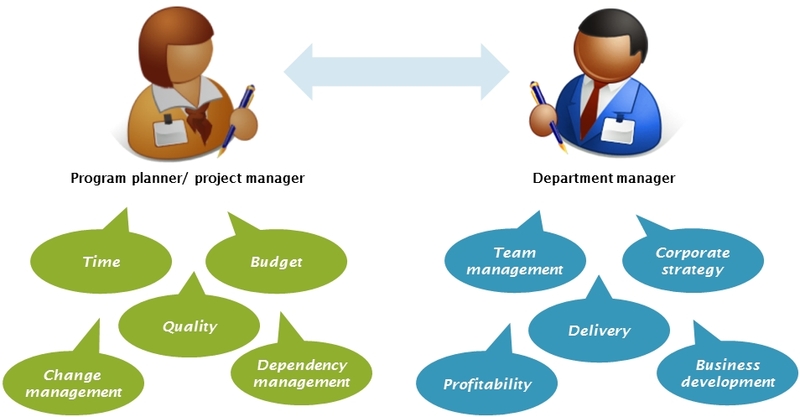 Previous post The New Microsoft Project – What’s New?